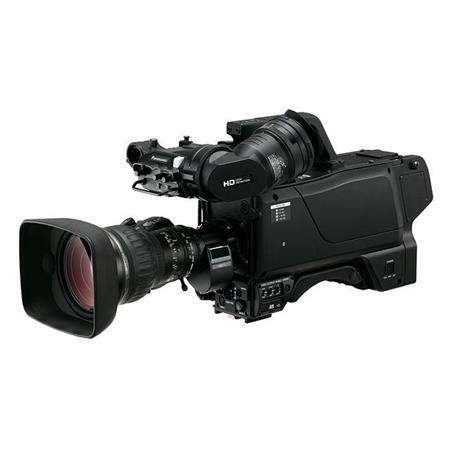 These new Panasonic HC3800 HD camera rentals and the entire system with fiber connectivity to our FlyPacks make getting consistent HD video fast and foolproof. The single cable connection to our CCU’s in the Mobile Flypacks makes setup way simpler. The AK-HC3800 Camera is equipped with a high-sensitivity, high-quality 2/3 type 2.2 megapixel 3CCD and a high-precision 16 bit A/D image processing circuit. With CCU control of functions such as Chromatic Aberration Compensation (CAC), Digital Extender, Film Rec Gamma, Dynamic Range Stretch (DRS) and more. By using the AK-HC3800 together with the AK-HCU200 Camera Control Units, our AK-HRP200G Remote Operation Panel and AK-HVF70G 17.8 cm (7 inches) LCD Color Viewfinder, These cameras can be setup in a multi-camera shoot in far less time than HD-SDI setups. For HD, supporting 1080/59.94i, 1080/50i, 1080/23.98p, 25p and 1080/29.97p video format are supported as standard. In addition, 720/59.94p, 720/50p and 1080/23.98PsF video format can be selected on the CCU. This included function expands the image by 2x in the digital signal processing circuit, allowing shooting even with a low-magnification lens. HD images retain their superior resolution even when zoomed in and – unlike when a lens extender is used – brightness is not reduced. 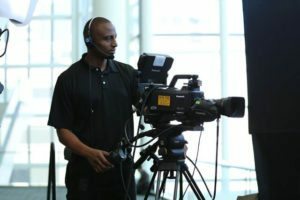 We include 500 feet of Fiber on reels for each camera, but these camera and camera control unit can be connected long-distance, over 1,300 yards!